It’s finally starting to feel like fall here in Missouri. The mornings are chilly and the orange and red pigments of the leaves are taking over. 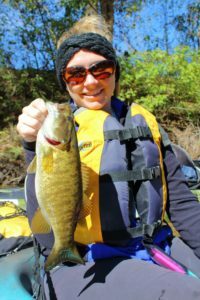 Big bucks are on my mind, but this past weekend, I took a break from deer and had a smallmouth bass fishing adventure instead. 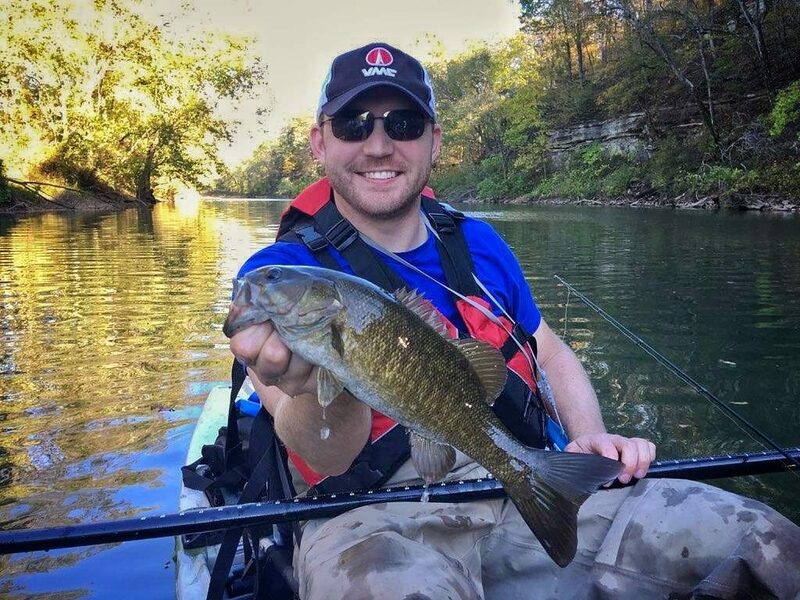 My girlfriend and I got hooked up with a kayaking trip down the James River with expert guide, Ryan Walker, who founded the Ozarks Smallmouth Alliance. Ryan has guided for many years, and his experience on the streams of SW Missouri is extensive. He even has a secret honey hole he dubs “Creek X”. The poor weather Saturday night prevented us from making that particular float, but the James River didn’t disappoint. After our day on the water came to a close, there was one major revelation that came over me. What have I been doing all these years not taking advantage of this amazing resource? The fishing was a little slower than normal because of the storm, but we still caught plenty of fish. In fact, we caught 5 different species! 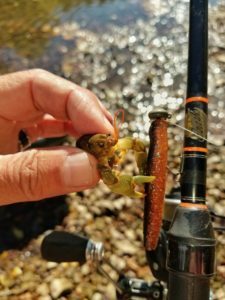 Largemouth, smallmouth, spotted, and rock bass, along with the occasional sunfish, all fell for our crawdad imitations and ned rigs. Amazingly, we were the only three people on that stretch of water the entire day. It was quiet and peaceful. Wildlife went about its business as if we were part of the natural landscape, and an osprey seemed to follow along with us most of the day. Near the end of the trip, we spotted a large soft-shelled snapping turtle relaxing in the sun. It must have been lethargic from the cold rain that came down overnight. 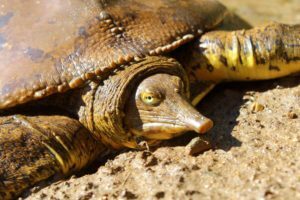 The Missouri Ozarks streams are truly a one-of-a-kind resource that mustn’t be overlooked. 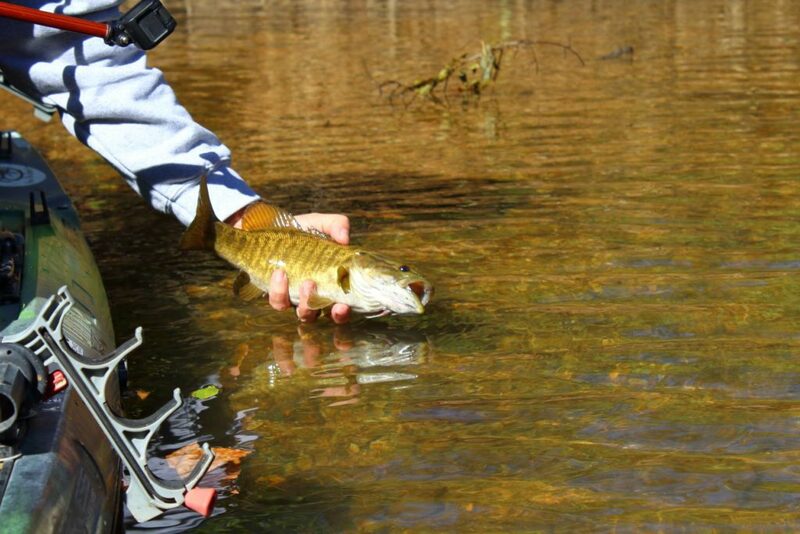 We have something special, and we need more people to know about it so we can further the preservation of not only the streams, but also the hard-fighting smallmouth bass that reside within them. 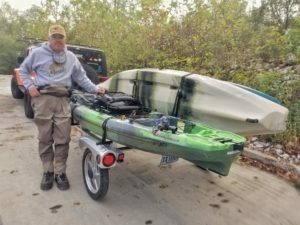 I’ll be posting several more articles about how you can help in the conservation effort and also about how you can make your own kayak fishing adventure a reality too! Fishing, Missouri, Ozarks, Ozarks Smallmouth Alliance, Ryan Walker, Smallmouth Bass, Tyler Mahoney. Bookmark.